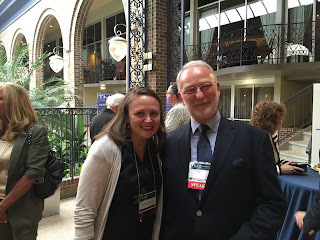 Dr Cochran and Tony Barker meet before the Clinical TMS Society meeting in May 2016 in Atlanta. Tony Barker is credited with being one of the early pioneers of TMS in research and clinical settings. Dr Cochran is on the Executive Board of the Clinical TMS Society and early user of TMS in a clinical setting in Tennessee and the United States.